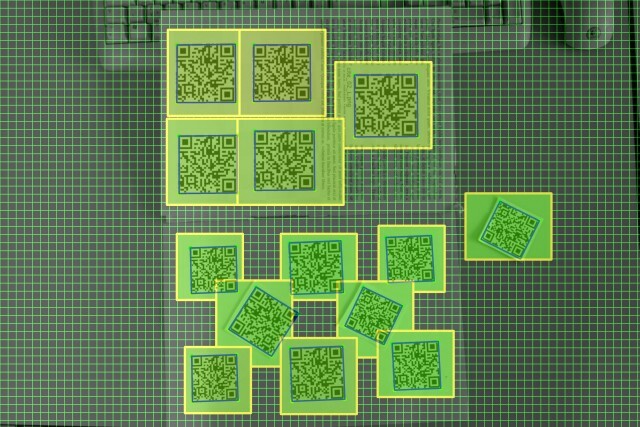 This paper deals with detection and recognition of matrix codes, such as the QR codes, in high-resolution images of real-world scenes. 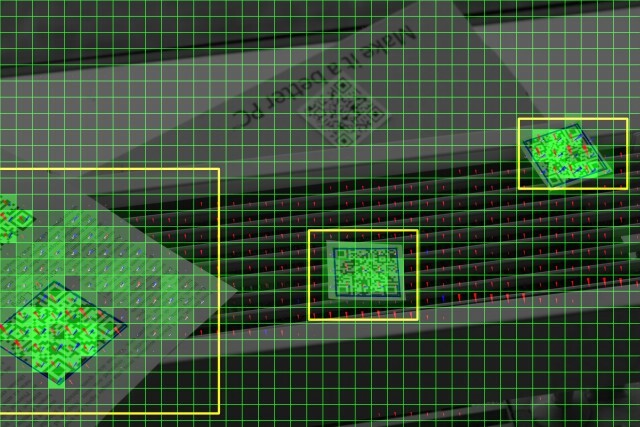 The goal is to provide a detector capable of operation in real time even on high-resolution images (several megapixels). 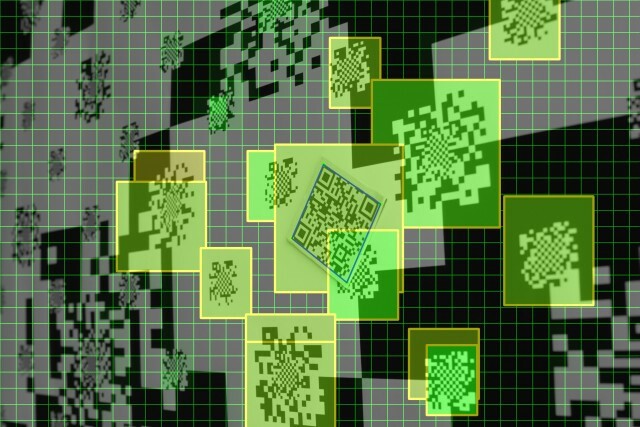 We present an efficient algorithm for detection of possible occurrences of the codes. This algorithm is characterized by a very low false negative rate and a reasonable false alarm rate. The results of our algorithm are to be followed by an accurate detection/recognition algorithm. 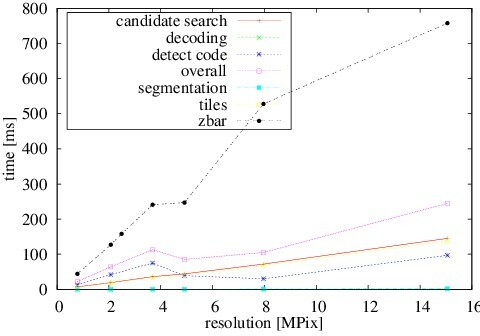 We propose to use a recent matrix code detection and recognition algorithm based on Hough transform, because it can reuse some information computed by our new pre-detection algorithm and thus a further reduce of computational demands can be achieved. Since there are no publicly available annotated datasets for evaluation of this kind of algorithm, we collected a number of images and annotated them; these images will be made publicly available to allow for a proper comparison. Our algorithm was evaluated on this dataset and the results are reported in the paper. This research was supported by the research project CEZMSMT, MSM0021630528, by the CEZMSMT project IT4I - CZ 1.05/1.1.00/02.0070, and by the BUT grant FIT-S-11-2.